The Office of Alumni Giving of a reputable higher education institution needed a dashboard that would allow them to track alumni donations on several different levels. The team now spends significant less hours doing data prep and analysis and more time spent focusing on areas of donation growth and improvement. 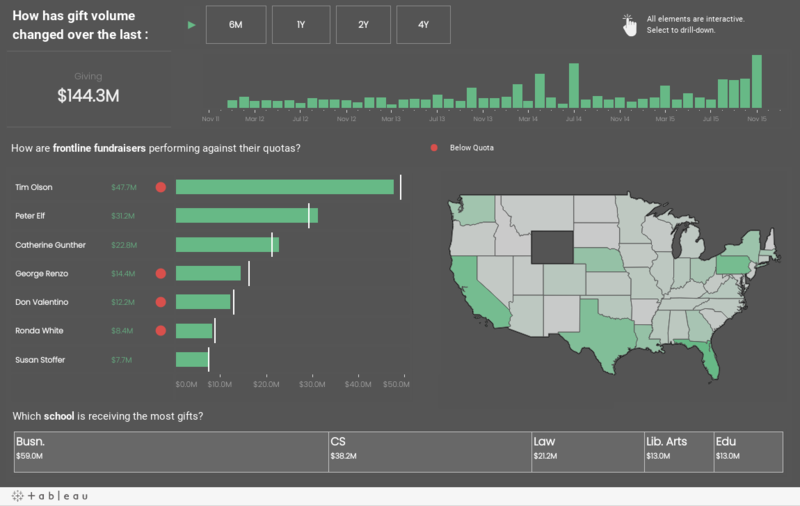 This dashboard looks at that data over four years. As we approached this data set, we sliced it by defined periods to see trends over time without getting too granular. This allows users to see dollar volume by month for the entire four-year period as well as a more focused two-year, one-year or six-month view.